Are you that kind of a person who buys a cheap charger for your iPhone so that you can save money? Well, here is something you need to know. By doing this, you are not only putting your phone in risk, but also yourself. Fake chargers are capable of letting out electric shocks if it is less insulated or any other problems. A recent test conducted by UL to check the safeness of a fake chargers tells that 99% of the tested chargers failed to prove themselves safe. The main problem is the absence of enough insulation against electric shocks. UL randomly put around 400 unauthentic iPhone chargers into test in which only 3 of them had the minimum required level of insulation. These chargers were collected from different countries like US, China, Australia and 5 other countries. Apple is concerned about the spreading of this unauthentic chargers and are set to sue the manufacturers legally. In October, Apple bought around 100 chargers from Amazon (which showed "fulfilled by Amazon") and put them to the test. In this test, around 90% of the chargers were found to be fake even after being fulfilled by Amazon. On inquiring with the Apple HQ, they found out that these chargers were being sold by Mobile Star LLC. Apple pressed many charges against Mobile Star LLC but this was not the main concern. When trusted platforms like Amazon sell fake products, people end up buying it being unaware of the fact that it is fake. Immediately after Apple intimating Amazon with this issue, Amazon came up with the master plan of fighting the fake sellers. Fake chargers can harm you physically due to low insulation which will lead to catching of fire and also electric currents. They may also have live parts or exposed metal portions which can cause shocks as well. Some users also have come across finding their phone burnt after keeping for charging by a fake charger. -Safety Mark: On a three pin plug, there MUST be a safety mark in BETWEEN the two bottom pins which will be light grey in color. 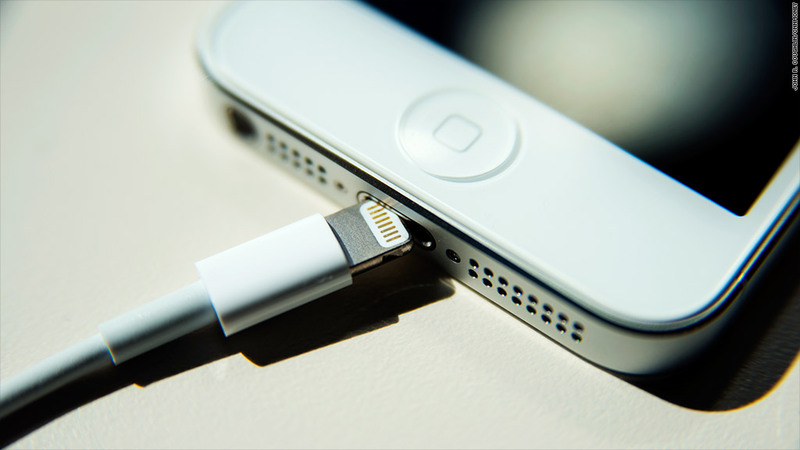 Although the charger in the photo below has a safety mark in the specified color, the position of the mark isn't as prescribed. -Weight: The more, the better. Usually, a genuine charger weighs more than a fake one. -USB Cable(Phone side): The edge of the cable must be well finished and the white portion at the end the cable have to be round in shape. The photo shows a fake charger in the left and an original in the right. -USB Cable(Socket Side): The part where the two metal pieces join will be smooth and well finished unlike the copies where there will be some abnormalities. -Pins: The original Apple pins are matte finished with smooth round edges. So next time you are looking for a charger for your iPhone or any apple products for that matter, make sure you go to the right place to buy one. Trust me, the money you save by buying fake products is just not worth it.